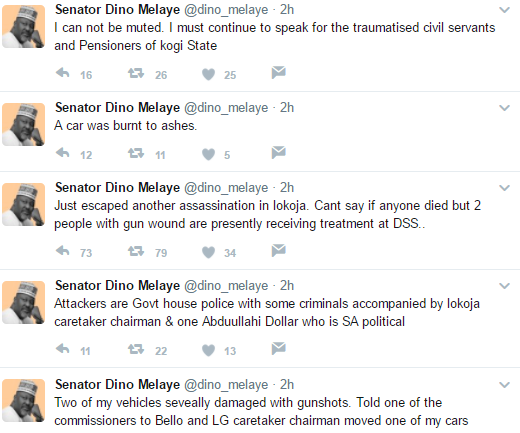 Dino Melaye says he survived another assassination attempt today. Unidentified gunmen stormed the venue of a protest he was holding against the state government and began firing into the air. Recall that in April he survived an assassination at this home in Ayetoro-Gbede in Kogi state.